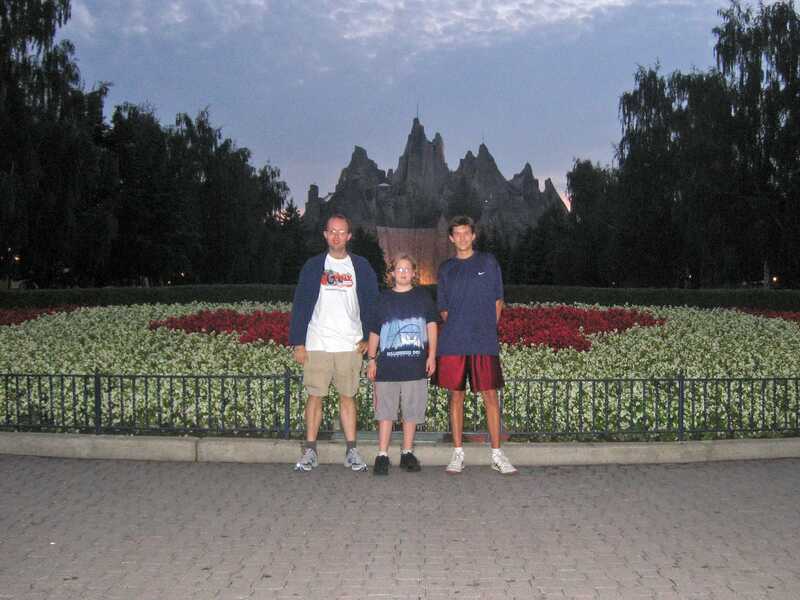 This park was known as Paramount's Canada's Wonderland at the time this report was written. The ride names from the time have been left unaltered. 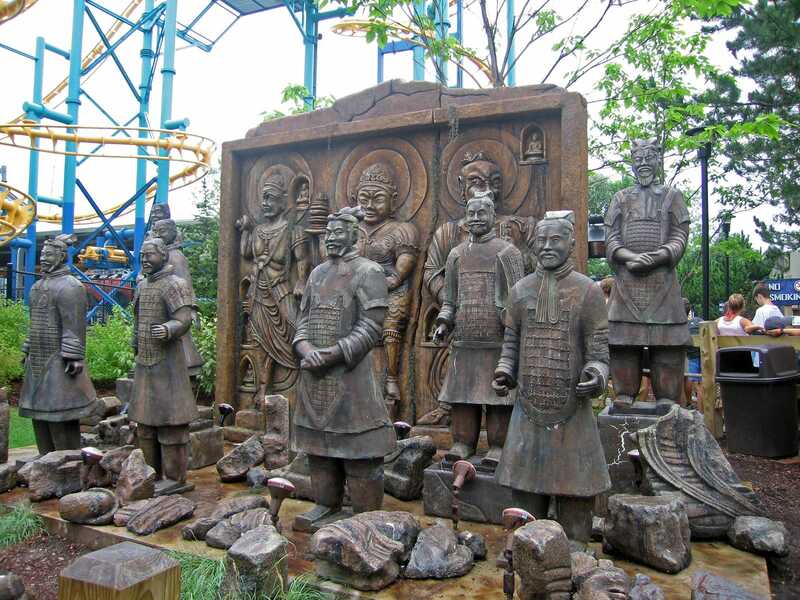 Paramount theme parks are not as numerous as the ubiquitous Six Flags chain. At the end of last year there were six parks in total; five in North America (Canada's Wonderland, Carowinds, Great America, Kings Island, and Kings Dominion) and one in Spain (Terra Mítica). The Spanish park has since been sold off and is now operated independently, but the photographs in my library clearly show the words "A Paramount Park" underneath the park logo. For the moment therefore I'm quite happy to claim to have visited six of the five Paramount parks, a statement worthy of a short yet timeless riposte from the reader: no-one cares. It is probably worth stating at the outset that Paramount's Canada's Wonderland really isn't an essential destination for enthusiasts at the moment. Though there are plenty of rides, not least thirteen roller coasters and a powered mine train, it's fair to say that almost all of them are cookie cutters and fairly mediocre ones at that, including a Boomerang, a SLC, and a Volare. Those who count their coasters may consider the place an essential stop, but for everyone else there are much better ways to spend your day. We decided that we'd begin our visit with Italian Job Stunt Track (#529), a heavily themed launched coaster from Premier Rides that opened earlier this year. We joined the line just ahead of the "thirty minutes from this point" sign, and this proved to be spot on. The installation was very similar to the version I rode earlier in the week at Kings Island, with only two noticeable differences. First, the queue followed a different route to its stateside cousin, presumably due to landscaping constraints. Second, the water splash effect at the end of the course appeared to be absent from this version (though it is possible that it was just out of order today). Four of the coasters date back to the park's opening in 1981, and three of those were built from wood by the pre-eminent builder of the day, the Philadelphia Toboggan Company. The largest among them is Mighty Canadian Minebuster (#530), a ninety foot high ride closely based on the Shooting Star that operated at Coney Island Cincinnati from 1937-1971. The layout wasn't the most interesting in the world, being for the most part an out-and-back design with a bonus helix at the end, but the trains handled the track fairly well resulting in an enjoyable enough ride. I'd not expected much from the TOGO-build stand up coaster, given my two previous encounters with the genre, but I'll admit to being pleasantly surprised by SkyRider (#531). The first drop and the vertical loop were negotiated without even a hint of jarring, and against all expectations a subsequent airtime hill worked fairly well. There were a few bumps around the remainder of the course but nothing intolerable, to the point that I'd have been willing to ride a second time were there not other credits to tick off. The only real oddity was a section of straight track right before the end of the course where the train banked to the left for no obvious reason at all; might the designers have had a prefabricated section of track in their warehouse that they needed to use up? We were brought back to reality with a large number of bumps when we boarded Top Gun (#533), one of six versions of the Vekoma SLC to premiere in 1995. Though refined somewhat over the two prototypes the ride experience was positively brutal. One fellow passenger provided us with a very colourful (and not even remotely Canadian) description about his plans for the ride designers should he ever meet them in real life. The best thing to be said for the machine was that it was well themed, with a nice collection of rotating radar antennae and other aerial gubbins; beyond that, it was a definite useful addition to the park. Our favourite coaster of the day ended up being Vortex (#534), a Arrow-built suspended coaster with swinging cars, and one of just nine examples of the genre in operation today. The tracking was almost completely smooth, with the only noticeable jolt coming in the brake run when the train was hardly moving at all. The layout began with a superb first drop and from that point on remained close to the ground, resulting in a relentless sense of speed that was amplified considerably by powerful swinging from side to side. I subsequently learned that the ride is the second fastest installation of its type, bested only by Hayabusa, which I hope to ride later this year during my planned trip to Japan. An eminently forgettable courtesy lap on Fly (#535) brought us to the park's Vekoma Boomerang. Having enjoyed experienced eleven of these rides previously I was fairly sure I knew what to expect from Bat (#536). As we queued however it became apparent that there were a few irregularities with this installation. The train was clearly not from Vekoma, and sure enough some research online revealed it to have been a surplus Arrow build originally intended for Dragon Fire. There was also a cable lift and oversized catch car in place of the usual chain on the reverse spike. The highlight of the experience was the entertainment provided by an exuberantly outgoing ride operator who kept up a running commentary with thoroughly infectious enthusiasm. At one stage, when the rain picked up for a while, he commented that he was operating one of the wettest rides in the park. For another ride, he decided to give a countdown for when the lift mechanism would release with the train dropping (10... 9... 8... 7... 6... 54321!). He was leaning out of the control box as we walked down the exit ramp to ask whether we had enjoyed ourselves. It'd have been churlish indeed to respond with anything other than an emphatic and unequivocal yes, which we delivered with a smile despite a fairly rough ride. We took a brief lunch break at this stage before testing the efficacy of our digestion on Thunder Run, a powered coaster routed around and through an artificial mountain. We had to wait extra cycles to board as the braking system was having trouble in the wet, meaning that more than one group of lucky passengers got in bonus laps. The train right before us did best of all, earning four consecutive circuits due to the front car overshooting the station each time. Unfortunately we drew the proverbial short straw, as our train came to a halt in exactly the right place on its first attempt. James and Andrew particularly wanted to try the White Water Canyon rapids, and as all of us had ponchos anyway it seemed like as good a time as any. This one was a fairly typical example of the genre, delivering a decent enough ride albeit one quickly forgotten. The trough followed a forest path that was almost completely devoid of theming, though I'd call that out as both a negative and a positive. The thick foliage blocked out both the sights and the sounds of the surrounding rides, making it feel for just a few minutes like we'd left the amusement park behind in favour of a jungle somewhere. With that done it was time to return to coasters, starting with Silver Streak (#537), a standard model suspended family coaster from Vekoma. I'd ridden four examples of the type before today, and this one was no different to its brethren, being memorable mainly for some fairly haphazard track work that shook far more than it should gave given its diminutive size. I've now got two more models to ride to complete the set worldwide, but as those are in Australia and Utah (arguably almost as remote!) it might be a few years before I manage them. Our next stop was at Dragon Fire (#538), arguably a rite of passage given its status as the oldest full size steel coaster in Canada. The layout felt very much like someone had welded together a couple of disjoined track pieces from a warehouse; it featured a lift, a drop, two back to back loops, a turn, two corkscrews, a single helix, and a brake run. This uninspired design had little going for it; the only thing I found curious was the way the engineers had managed to fit it into a long thin area of land. Previous (and subsequent) efforts with the same hardware platform were far more visually appealing. We had been on our feet for quite a long time at this stage, and given that we decided to take a break with the School of Rock show. Readers familiar with my taste in music (centered around seventeenth century Anglican church music) may be surprised to learn that I enjoyed the movie very much when it came out a few years ago. I'd hoped that the live action version would have a passable Jack Black impersonator leading the story, but it wasn't to be; instead, the performance today consisted entirely of cover versions of assorted chart hits with no back story. Though the performers were ebullient it was impossible not to conclude that the movie license had been applied as an afterthought to a generic music show that was otherwise unchanged. We were next in line for Drop Zone when it experienced an emergency stop that left three of the four cars stuck at the top. Maintenance was summoned and arrived in less than ten minutes, and soon after the seats were being slowly lowered back to earth. Almost all of the other guests had chosen to bail when the problem occurred, allowing us to board within five minutes of the ride reopening. As we approached the apex Andrew asked me whether we could see Niagara Falls, and I replied in the negative pointing out that we were over a hundred miles away. My field of view had nothing but urban sprawl in all directions, and satellite overheads indicate that the other side of the tower would have been no better. The one thing that we did get from the view was the location of the station for Wild Beast (#539), which we had somehow managed to miss on our circuit of the park. As with its larger brother this ride was based on a design from Coney Island Cincinnati, in this case the Schmeck-designed Wildcat that operated from 1926-1964. The most memorable feature of the layout for me was the fact that the ascent from the first drop led to a very slow turnaround negotiated at little more than walking pace. It was only from the second drop onwards that the ride felt like a proper coaster. 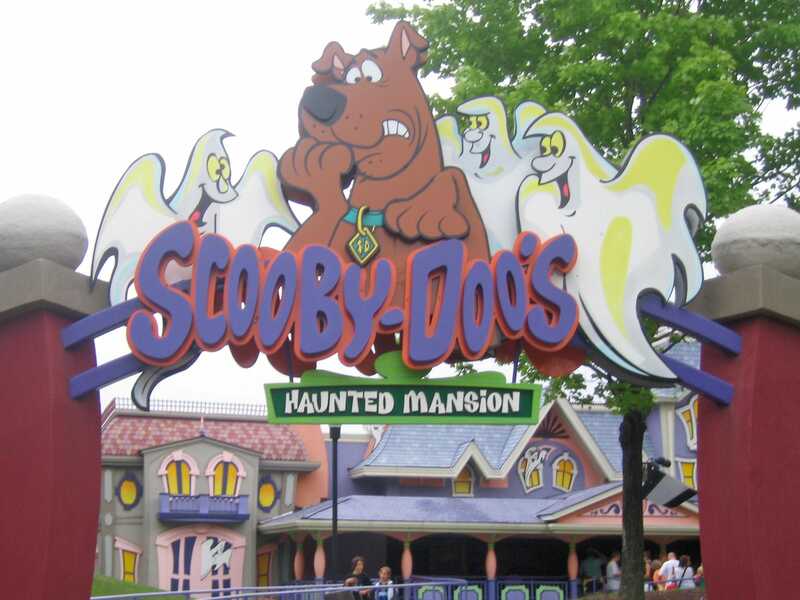 I decided to pull rank by insisting against protest that we join the queue for Scooby-Doo's Haunted Mansion, a target shooting dark ride. 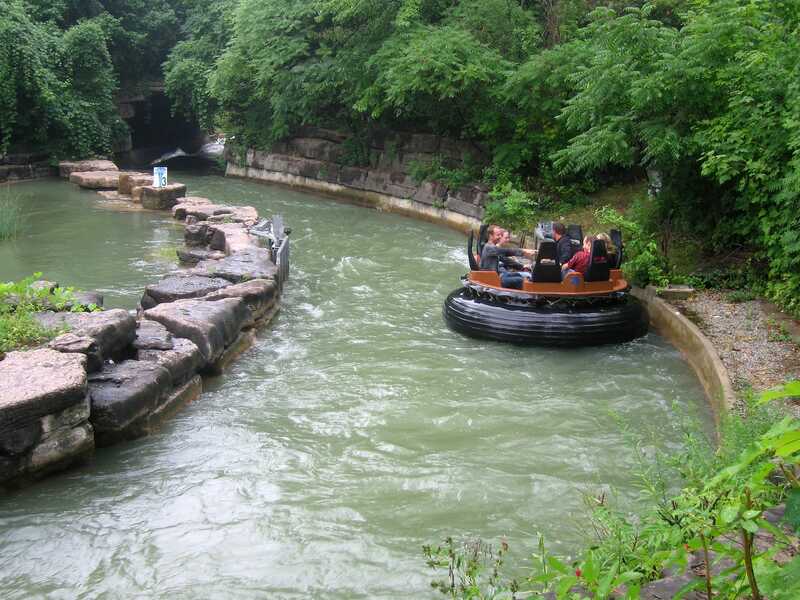 The wait was considerably longer than anticipated as the ride hardware featured two person cars rather than the four person models found at Kings Island. Nevertheless the wait proved well worthwhile, and all of us enjoyed the scenery despite the fact that the guns in our car were not working properly. On disembarking we decided to stay with a theme by riding Scooby's Gasping Ghoster Coaster (#540), a family-sized attraction that was easily the most rerideable of any of the wood coasters in the park. The final credit on our hit list was Taxi Jam, an installation of the oval family coaster ride from EF Miler Inc. Unfortunately there was a large sign at the entrance indicating that adults were only allowed to ride when accompanied by a child under 54" in height. This appeared to be a recent rule change, but it was an unequivocal one as the same signage was prominently installed on the station walls. Though tempting to join the queue anyway we decided that it was simpler to accept that this was one credit that we would not be getting today. We were pretty tired at this stage, and decided that it was time to begin wrapping up. The only coaster we felt a compelling desire to repeat was Vortex, and we decided to go for a lap in each end of the train. The front had a slight edge over the back, but there was precious little between them. With that done, we decided to conclude with Sledgehammer, the world's only installation of a HUSS Rides Jump². All of us enjoyed this greatly, though we were glad that we had left it to the end of the day; more than one cycle would definitely have led to stomach malfunctions.